Longboarding is an increasingly popular extreme sport that was derived from surfing and skateboarding. Very simply said, longboarding is the act of riding a board made out of wood, fiberglass or carbon fiber, which has wheels. This sport is similar to skateboarding, except that it is its more modern version and has some definite advantages. 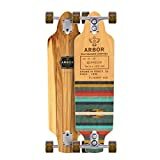 The following guide contains all of the useful information any new longboarder needs to know to make the best choice possible. A longboard is, generally speaking, more massive, which makes it more stable and more suitable for heavier skaters. It also has more traction and durability. Besides, there are many disciplines and styles when it comes to longboarding. Perhaps this diversity is what makes longboarding such a favorite and exciting sport – skaters can practice it with all sorts of preferences, age, gender, and size. The key to having a genuinely fantastic longboarding experience is not whether the rider wants to practice this sport or even finding the right spot – it is choosing the best longboards. However, doing so is indeed a trying experience as there are thousands of options out there. What’s more, choosing a good longboard is nothing like picking a good basketball, for instance, as longboards are not only made by a huge number of companies but also have many different components that go into them. Every single piece of a longboard is essential to the fulfilling riding experience. That is the reason why picking a longboard is a difficult task that requires a lot of consideration. 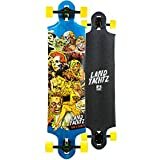 While buying a readily assembled longboard is entirely feasible, knowing what to look for will certainly help when trying to pick the best option. When it comes to this extreme sport personal preferences are what matters the most. 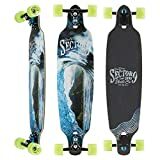 Longboarding offers a wide variety of looks, techniques, and experiences and so every rider needs to pinpoint their critical inclinations, to be able to pick the longboard from all the abundance out there. 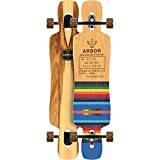 To do that, people who don’t have much experience with the sport, could first try and figure out which use of the longboard is most suitable for them. Generally speaking, the broad categories that a longboard can be used for are cruising (transportation and leisurely strolls), freeride (doing tricks) or downhill (speeding down steep, paved slopes), with carving, dancing, and travel as derivative forms. It is precise to pick a style before purchasing the board, as the different parts that go into it are tailored according to what it is going to be used for. Once a skater with a newly found love for longboarding has decided if he or she will be learning tricks, traveling in an eco-friendly way or going downhill with crazy speed, it is time to take a look at the board’s components. No matter what the use, a longboard is always made of the same parts – a deck, grip tape, wheels, bearings, trucks, risers, and hardware. 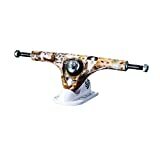 Even though all the components are essential, the deck, wheels, bearings, and trucks should be considered most carefully. 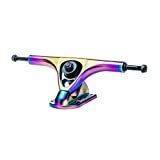 Some segments, especially the deck, trucks, and wheels are particular to the use of the longboard and must be chosen accordingly if the desired result is having a longboard and an amazing riding experience. Also, read article Longboard Equipment – What You Need for Longboarding. 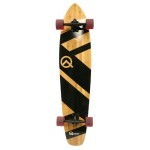 The first thing to determine, when trying to find the perfect longboards, is the deck. This is the flat board that you step on, and it can be made out of fiberglass, plywood, bamboo, resin, plastic or carbon fiber. Even though choosing a quality deck usually means using it for a more extended period, riding in cold or wet conditions can affect its durability. Something to watch out for is splitting into the sides, nose or tail – this means that the deck should be replaced. Unlike skateboard decks, those used for longboarding can vary significantly in shape and size according to their purpose. So take a closer look at some high-quality decks. When it comes to commuting and roaming the streets, longboarding is a great choice. It is inexpensive, environmentally safe, fast and of course –a lot of fun. Cruising decks are usually larger, heavier and more stable, though some riders prefer small decks to navigate foot traffic with more ease. Another choice that needs to be made is between a stiff and a flexy deck – a stiff one increases the sense of stability, but flexy ones are more suitable because they absorb a lot of the vibrations when maneuvering rougher terrain, thus protecting the rider’s ankles and knees. Also, decks with flex tend to be a bit lower to the ground, which improves navigation. The other significant choice to make is kicktail or no kicktail (that is the curved part at the deck’s rear). This decision depends entirely on personal preferences as a kicktail makes tricks easier, while no kicktail improves stability. The next important component that goes into a longboard is the trucks. These are metal, T-shaped axles and their purpose is to hold the wheels as well as to attach them to the deck. Naturally enough, this means that they are essential to skating and should be chosen carefully. Just like with the deck, it is important not to ride in wet conditions because that increases the chances of rust forming on those beautiful new trucks. Also, it is a good idea to invest in quality trucks, as they are the most durable part of a longboard and will most likely be used for a long time. It is highly valuable to choose some of the best trucks out there. And here are some of them. When talking about cruising trucks, the most important aspect to consider is their width. Luckily, this choice is not very difficult as they only come in two sizes (150mm and 180mm). They should comply with the deck’s width or other words – as close to its width as possible. Also, it is best to look for the “reverse kingpin” trucks, as they are what ensure maximum flexibility when maneuvering and especially turning. The difference between “reverse kingpin” and “standard kingpin” trucks is the axle’s position. 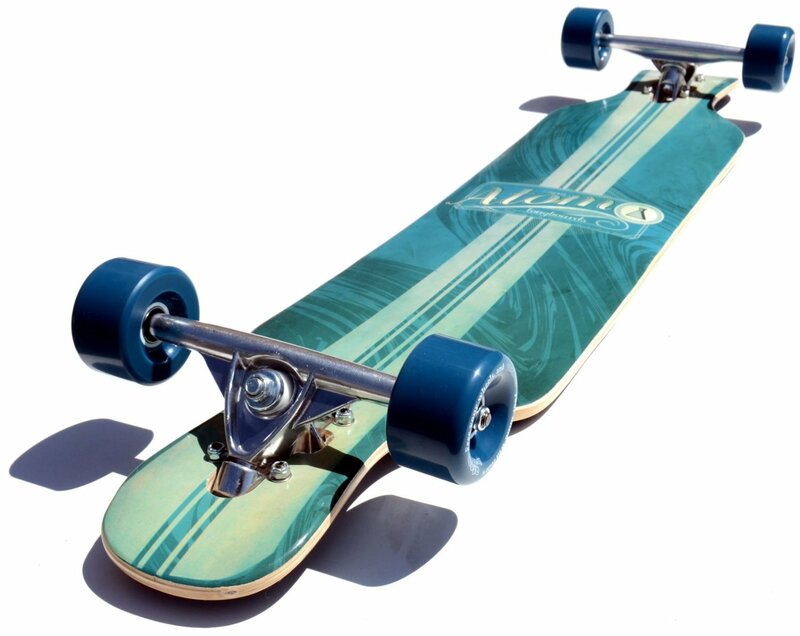 Standard trucks can also be used for cruising longboards, although few riders choose them. The third most important component of a longboard is the wheels. If the objective is to achieve having the best longboard possible, the wheels are something to think about. 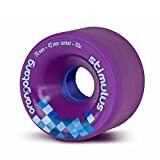 Naturally, no one wheel is most outstanding – it all depends on personal preferences and the longboard’s purpose, still, this component has specific parameters that serve as indicators of quality and function. Wheels are most commonly graded by their diameter (size), durometer (hardness) and shape. Wheels that are bigger and softer tend to be slower but more stable, especially on rough terrain, while hard, small wheels gain speed faster but don’t provide for a very smooth ride. The shape, on the other hand, is mainly responsible for traction and speed. Quality wheels are essential to achieving the greatest longboarding experience and here are some of them. Color – not only for the great look! One significant detail about the wheels, as unlikely as it may seem, is their color. 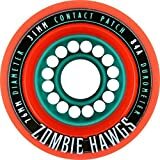 Skaters who are new to the sport tend to base their wheel choice on the color, which might turn out to be a big mistake, as some companies use different coloring to indicate different durometers. The good news is that there are so many choices out there that finding a good fit for every style is pretty much guaranteed. However, even when that happens, there is more to think about – wheel maintenance. The wheels tend to wear down and thus become smaller with time, which changes their effectiveness. Rough terrain can also damage them and so it is necessary to watch out for deterioration and turn the wheels as soon as any appears. Just like the components listed above, wheels are specific to the riding style. When it comes to cruising, the wheels that will form longboard should be on the large side, soft and in a “sharp-lip” shape. It is good to use large and soft wheels because they make riding smoother, especially when going over bumps and cracks in the street. However, it is crucial to choose the right wheels for every deck size and rider’s weight. 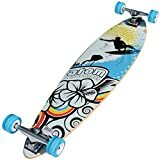 Large wheels should never be used with small decks, as they gradually carve the bottom of the deck, forming the so-called “wheel bite”, so for boards that are 40 inches and up it is best to use 70-75mm wheels. The durometer of the wheels, when cruising is concerned, should be very much in accordance to the skater’s weight. 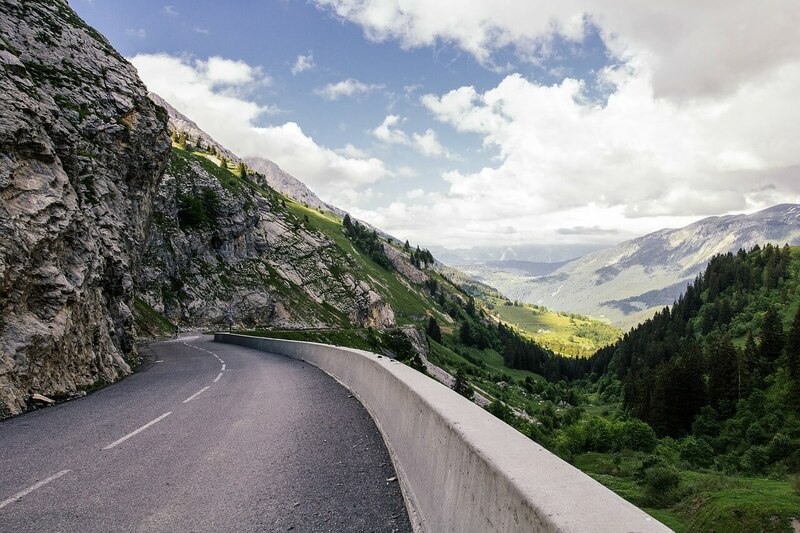 Generally speaking, the heavier the rider, the harder the wheels should be – otherwise the board will move slower or won’t provide a good grip with the road. When it comes to the wheels’ shape, pretty much anything goes with cruising. However, the “sharp-lip” shape is most suitable, as it provides a lot of stability, especially when it comes to the grip while performing more difficult turns. Another use for the longboard is the freeriding style. This entails doing a lot of tricks like slides and aerials, which are not accessible with other longboards. In that sense, freeriding is as close to skateboarding as this sport could be, though it offers more variety in the face of the components that go into the freeride longboard. And if, for any reason, you are skeptical about a freeride longboard take a look at these guys. Just like with cruising, the first thing to look at is the deck. Ordinarily, almost any board can be used for freeriding with one critical condition – the rider needs to be comfortable making aggressive maneuvers with it. Still, the shape and size of the board can change the experience. The ideal longboards decks, when it comes to freeriding, is neither too large nor too small. If the board is too short it feels unstable and uncomfortable, and if it is too large it could feel bulky and difficult to maneuver, so the best length is 38-42 inches, while the width is not all that important. The two most common deck shapes for freeriding are Drop Platform and Drop Through, with the first one being more suitable for beginners as it is more stable and makes learning to do slides easier. The Drop Through has the advantage of being lighter. However, it is best to choose one with very little flex, as it is utterly unsuitable for freeriding sessions. 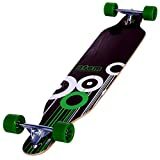 Trucks are also essential for doing tricks, and so longboard for freeriding should have certain ones. Since this longboarding discipline requires for the board to be able to move swiftly and quickly, the best trucks are those with excellent turning capabilities. For that purpose, the “reverse kingpin” design is most suitable. It is the best option despite the deck’s style. When freeriding is concerned, the wheels, an extremely crucial component, need to meet precise specifications. The best-fitted freeride bikes are medium-sized, with round lips and are not too hard. The diameter should be around 68-72mm, as larger wheels will result in “wheel-bite,” and smaller ones might wear off very quickly. 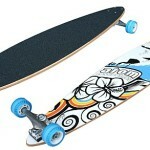 In addition, the right longboard for a perfect freeride will not have wheels that are too hard. 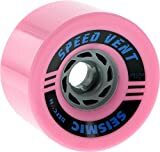 Even though they speed up faster, they are also more difficult to control and thus are entirely unsuitable for inexperienced skaters. Lastly, the wheels should be rather thin to make slides easier, although this is indeed not the most important criteria. Take a look at some of the greatest complete freeride longboards. Downhill longboarding is the last widely popular discipline. It is also perhaps the most thrilling and dangerous one. It constitutes of riding down a paved hill, with skaters searching for increasingly steeper slopes as their experience grows. 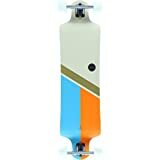 As downhill longboarders can reach speeds of up to 80 mph, it is crucial for those who have chosen this style to have longboard with all the necessary elements that make for a fantastic, heart-stopping ride. As it was previously stated, the deck is the essential part of any longboard. The downhill one makes no exception. In fact, a good deck is even more critical here, as the high speeds require a board that can be trusted and feels stable enough. To achieve that, most skaters opt for a thick, stiff and top-mounted deck. The best option for beginners is Drop Through decks because they are closer to the ground, which makes them more stable and is a lot more comfortable for people who are not accustomed to the downhill speeds. Once a rider gains some experience, he or she would do best to move on to a top-mounted deck – this means that the trucks are attached directly to the bottom of the deck rather than the top, which makes for a crazy fast ride. When it comes to trucks, the specifications for freeride and downhill longboarding are pretty much the same. However, that is indeed not the case with the wheels, which need to be broad, sharp-lipped, large and soft. The awesome longboards for downhill thrills provide excellent grip with the road. Otherwise, it might become dangerous, especially on turns. That is why wide and low durometer (soft) wheels are most suitable. They should also be quite large- about 70-75mm, as smaller wheels will wear off too quickly. Last but not least, it is essential to find sharp-lipped wheels because, ones again, they provide more stability and, moreover, don’t do it at the expense of sliding ability. All together the right components should give you a great riding experience. Take a look at some of the best complete downhill longboards. No matter what the discipline, finding the perfect longboard is what makes the experience safe and enjoyable for both beginners and experienced skaters. It is crucial to remember that the aspects that count are the size of the rider, the deck, the trucks, and the wheels. Naturally, the other components of a longboard are vital as well, but the listed above are the absolute essentials that everyone needs to acknowledge before diving into this fascinating extreme sport. Even though all the specifications might seem like a lot of information, they are precisely what makes longboarding such a great experience and should not be overlooked if the goal is to get something out of the sport.